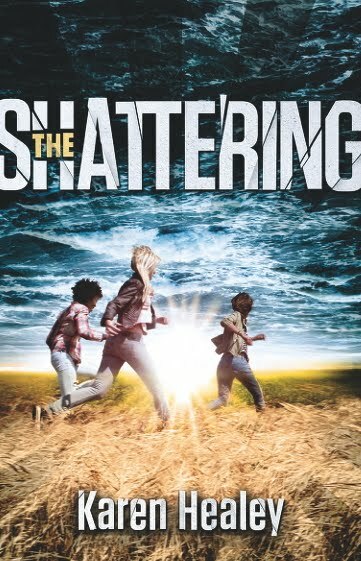 The Shattering (Allen and Unwin) is the second novel by Kiwi author Karen Healey, who lives in Australia. It’s not a sequel to Guardian Of The Dead, but a fine cracking mystery in its own right. Keri, a teen living in the West Coast town of Summerton in New Zealand’s South Island, has recently lost her brother to suicide and is still grieving, as are her parents. In fact, the funeral is barely over. Nobody can understand why Jake killed himself. There was no warning, no suicide note. He simply shot himself -- and Keri found the bleeding body. Jake is only one of a bunch of teenage boys who have killed themselves over the last several years. Two friends, Janna and Sione, have also lost brothers. When Janna suggests there are connections, Keri and Sione are willing to consider it. Something must be going on. The town has been beautiful one day, perfect the next, for years now, since the boys started killing themselves. Summerton is the only town in this area that seems to have survived the financial crisis with weather and tourism intact. Janna is a witch, one of a number in Summerton. She believes magic is involved -- could she be right? Are there really supernatural elements? Read it and decide for yourself. No spoilers here! This is a thriller that explores real teen issues. Each of the characters must learn a lesson to help him or her grow. The nerdy Sione is not really sure how his brother felt about him and often can’t see what is under his nose. Keri has her own issues, apart from the grief, but to tell you would spoil it. Janna has some hard decisions to make about her life. The book takes you into the heart of a small town in which everyone knows everyone else and any secrets will spread like wildfire.